The island can most definitely be considered one of the most beautiful in all of the Mediterranean. 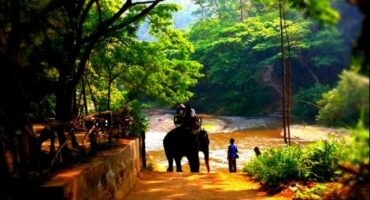 Its spectacular inland geography full of pine trees and shrubs perfectly contrasts with the white sands of its coast that merge into infinite shades of green and blue waters. 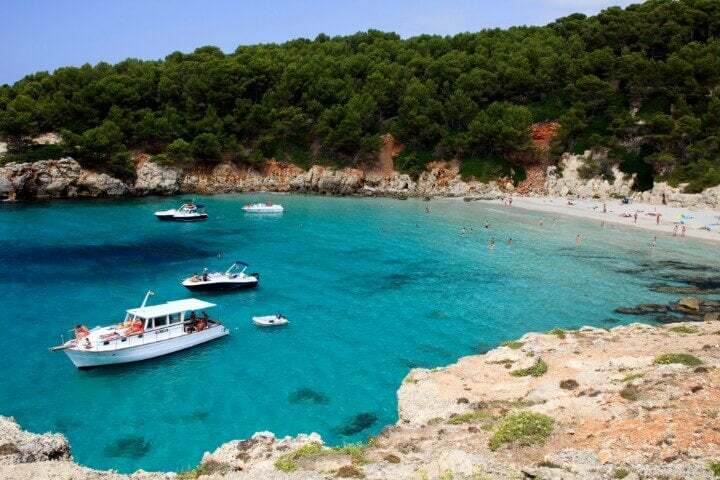 Without losing sight of all the island has to offer, the main attractions of Menorca are the coves and beaches. The north of the island is wilder and rocky while the south of the island has the most paradisiacal beaches. 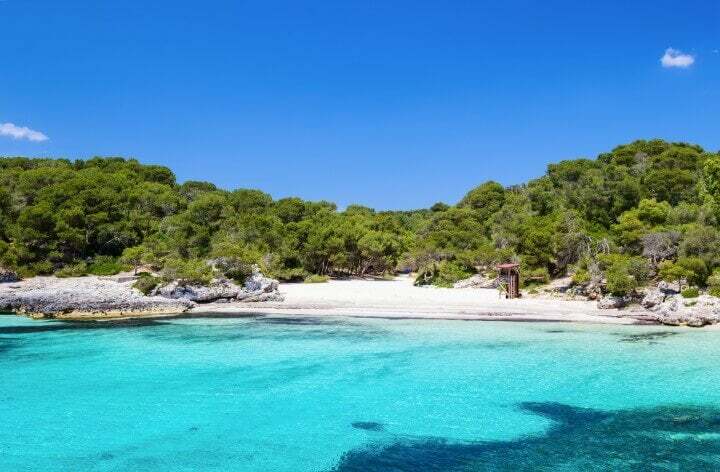 Here is our list of some of the coves and beaches in Menorca that you cannot miss if you ever find yourself on holiday in Spain’s Balearic Islands. 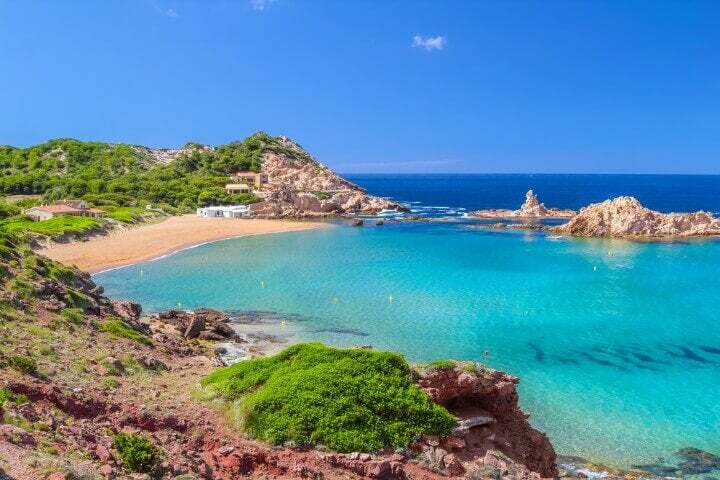 This first cala (cove) you can get to by car or motorbike and is one of the postcard perfect beaches of the island. The water is completely transparent, so much so that the boats floating near the shore look like they’re suspended in the air. 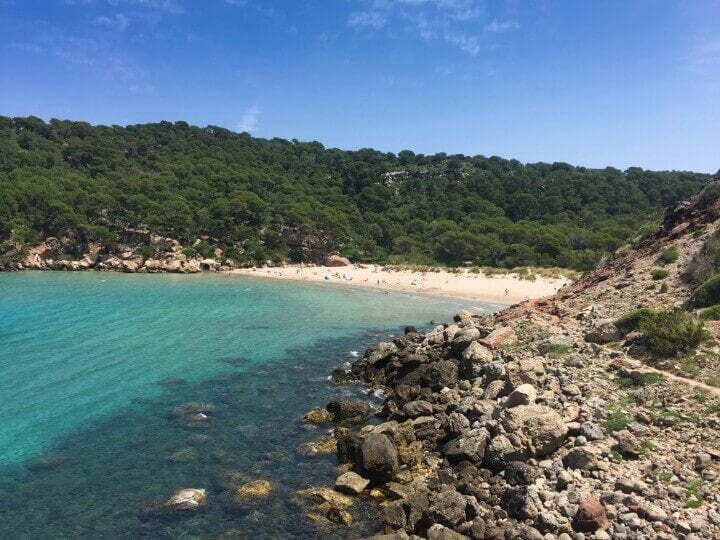 From Macarella, you can take a dirt path along the coast to get to Macarelleta, a small cove which gives the feeling of being on a deserted island. Surrounded by rocks and pine trees that creep along the shore, this cove is the typical image of a beach in the south of the island. Taking a rest under the shade of the pines and contemplating the many shades of turquoise in the sea is a real treat. Nearly as much as just lying on the white sands and letting your toes be cooled by the gentle tide. 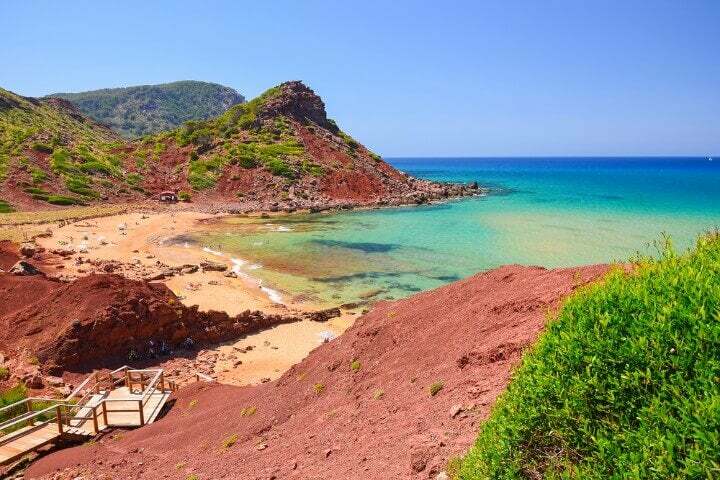 In the north of the island, near Fornells, this sandy cove is known as the Red Cove of Menorca. The juxtaposition of the vibrantly colored sand against the crystal clear water is perfect for pictures that will look like they’ve been photoshopped. 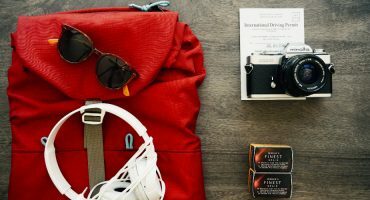 ✈️ Fly me to Menorca! 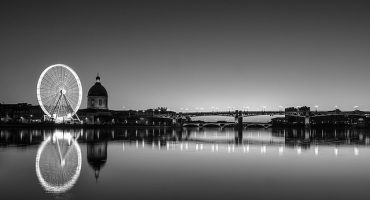 Over 300 meters of shoreline form the largest beach in Ciutadella. The most impressive part, after the sheer size, when compared to other coves in the south of the island, is the algae that is scattered across the shore and the tiny fish that swim by your side. It’s worth going for a stroll along the horseback riding trail to arrive at the cove Es Talaier. Because of the difficulty to get to this cove, it’s maintained its natural beauty. 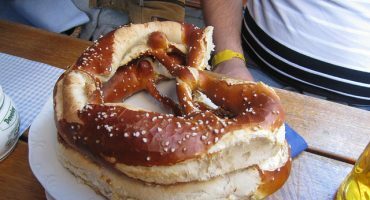 It can only be reached by boat or by taking a long walk along a path where you can find only goats. If it’s a windy day it’s a great spot to fly kites. Another typical cove in the south that you can’t miss. Lay out on the beach or take a dip in the water, but the best part of this cove are the secret caves that are hiding along the coast. The best way to discover them is by kayak. 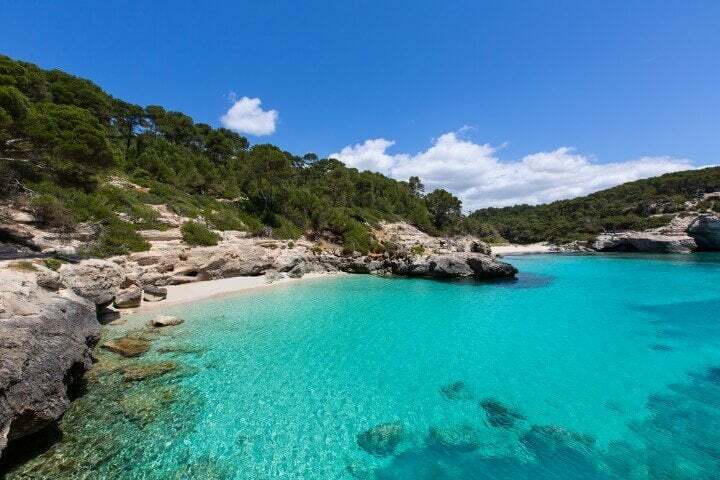 ✈️ Search flights to Menorca! 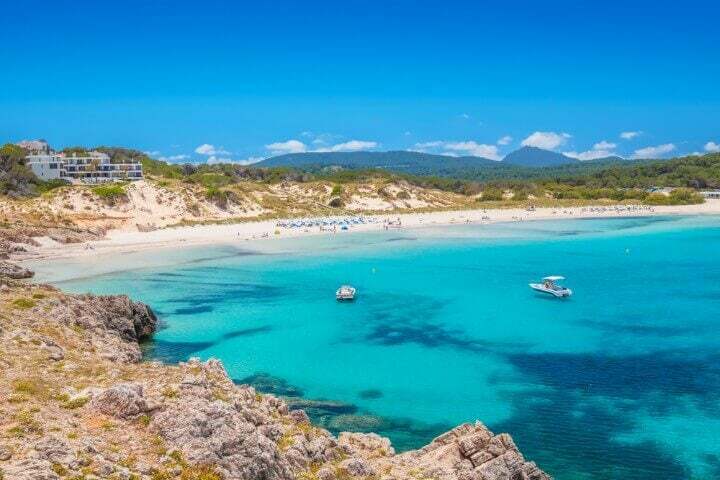 The pristine beaches of Algaraiens are known as La Vall and they are the closest to Ciutadella. The large sandy area is perfect for a pick-up game of volleyball or soccer. The most peculiar part of these beaches is the history which can be seen through the military hideouts and shelters of the zone, where snipers were on the lookout in times past for enemies coming ashore. One of the lesser known coves in the southern part of the island, perhaps because it takes about 1 hour to walk there. However, it’s worth the trip just to see the crystal-clear water and the experience of being on a virtually deserted beach. 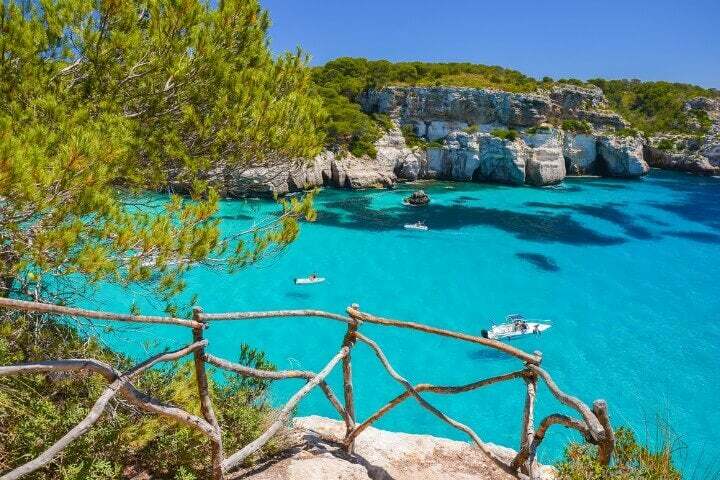 ✈️ Take me to Menorca!